Oak Park, River Forest, Bellwood, Berwyn, Riverside, Forest Park, Broadview, Elmwood Park and surrounding areas. Mr. Rattler was very helpful, and professional during the process of my bankruptcy. He went above and beyond to ensure my fees were forwarded to the courts when I was hospitalized and could not go to the courts to make my payments. I highly recommend this firm for your legal needs. Best representation,that I could afford. He knows the legal system,very well. Would definitely recommend this firm to others. Mr.Rattler was recommended to me by a friend of my son.This guy is the real deal.I was able to set my appointments at time that was good for me and the best part is he allowed me to make payments that i could afford.He did all the paper work that i need and explained things in terms that i could understand.He told me what would happen when i went for my hearing and it went exactly the way he said.I am 100% pleased with his services and would recommend him to anyone looking for a bankruptcy attorney.Thank you Mr. Rattler,you are a God sent. I hired Mr. Rattler about six months ago for a traffic case. He was very informative. I knew what to expect before going to court. He prepared me for what was going to happen from beginning to end. He was able to relieve my mind that everything was going to turn out and that I didn't have anything to worry about. If he had not prepared me as well as he did before going to court, I think I would have been a basket case. I was very pleased with his knowledge and his attention to details. My case turned out very positive. I was very happy with his services and I would recommend him highly. The prospect of declaring bankruptcy is a daunting one, and something you shouldn’t have to face alone. Whether you’re looking at Chapter 7, Chapter 11, or Chapter 13 bankruptcy, Oak Park Legal can help you during this stressful time in your life. Don't fret about the looming inevitability of bankruptcy. You've come to the right place to start on the path to filing for bankruptcy the right way. We are Oak Park Legal, offering comprehensive bankruptcy services to those in need throughout Oak Park, River Forest, Bellwood, Berwyn, Riverside, Forest Park, Broadview, Elmwood Park and surrounding areas.. With Oak Park Legal you'll be getting the services and assistance of qualified bankruptcy professionals. According to the law, consumers have rights that protect them from illegal debt collection practices. If a creditor violates your rights by engaging in illegal debt collection tactics, it is considered creditor harassment, and the creditor can face significant legal consequences. Oak Park Legal provides a vast array of law services to clients in need of representation in Oak Park, River Forest, Bellwood, Berwyn, Riverside, Forest Park, Broadview, Elmwood Park and surrounding areas.. Oak Park Legal knows that when clients are facing legal issues, they may feel stressed or uncertain and simply need guidance and support to resolve the matters at hand. Trusted Bankruptcy Lawyer in Oak Park, River Forest, Bellwood, Berwyn, Riverside, Forest Park, Broadview, Elmwood Park and surrounding areas. Our highly regarded Oak Park bankruptcy attorney is committed to helping you deal with all your financial cases. Oak Park Legal is a top firm and will ensure that your case is successfully resolved. We provide hassle free, quality, affordable legal help. We offer flat fees. Fees may be broken down into smaller payments. We specialize in Consumer Bankruptcy, please call to book an appointment today. There are Federal Laws that offer you protection against collection law suits and garnishments. If you're faced with foreclosure, auto repossession, credit law suits, garnishment of your wages or bank account, contact us immediately. We will show you how you can protect your belongings, and get a fresh start and begin the road to credit repair. If you've been denied credit for a car loan, can't get a home mortgage, or bank account, take the first step to rebuilding your credit, call us today. and MORE. Call today to see what we can do for you. Proudly serving Oak Park, River Forest, Bellwood, Berwyn, Riverside, Forest Park, Broadview, Elmwood Park and surrounding areas for more than 17 years! 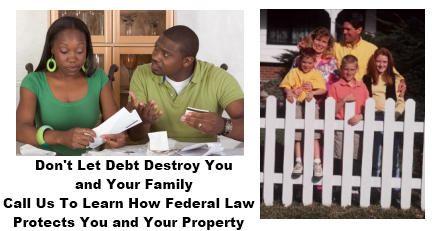 "We are a debt relief agency. We help people file for bankruptcy under the bankruptcy code." The information you obtain at this site is not, nor is it intended to be, legal advice. You should consult an attorney for advice regarding your individual situation. Please feel free to get in touch with us and we will gladly welcome your emails, letters and calls. This does not create an attorney-client relationship. Please, until we have established an attorney-client relationship, do not pass along any confidential information to us. © Oak Park Legal. All rights reserved.